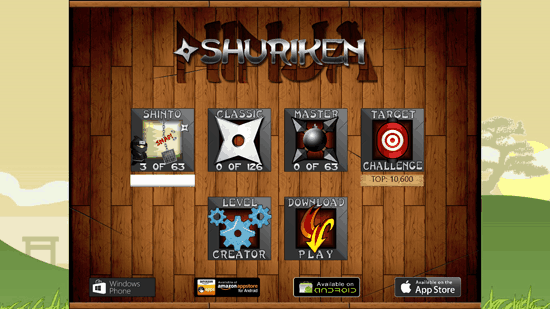 Shuriken Ninja is a free strategy game developed by GeekWorks for Windows 8 and 8.1 PC. In Shuriken Ninja, your main character is a ninja who throws shuriken stars on the objects to break them, move them and do more things. You throw the stars at objects with the help of the mouse. The game has four playing modes namely, Shinto, Classic, Master and Target. Each mode has different number of levels in them. Shinto has 63 levels, Classic has 126 levels, Master has 63 levels and Target is a challenge having a single game, which the player has to complete in the given time. In Shinto game mode, you are in an open environment, like that of a field where you have to either break the objects or move the objects to make the Red objects break with your stars. In Classic mode, the game is in a closed environment. In Master mode the game has different gaming interface. 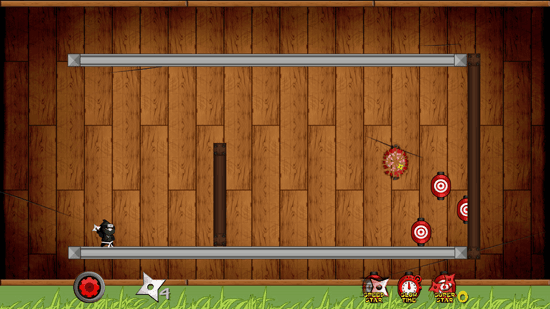 Every time you will play Target mode, you will have different game play. In Target there are different rounds which you will have to clear to move on to the next round. You can end the game anytime you want or you can restart it whenever you want. 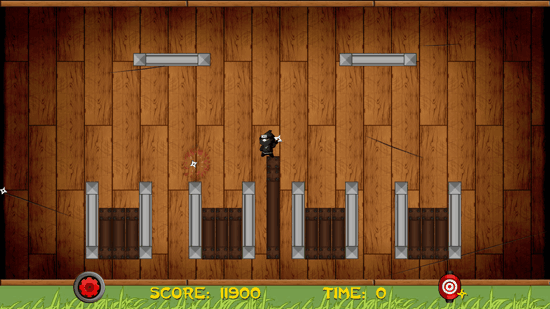 There is a level generator in the game which can help in creating a new level that you can play. The game does not have any menu or options which can help in changing the settings of any kind in it. The game is inspired by the game play of Angry Birds as it also has the method of throwing the star and breaking things like chains, making objects fall, etc. The game has beautiful graphics with a great environment compilation for different levels.